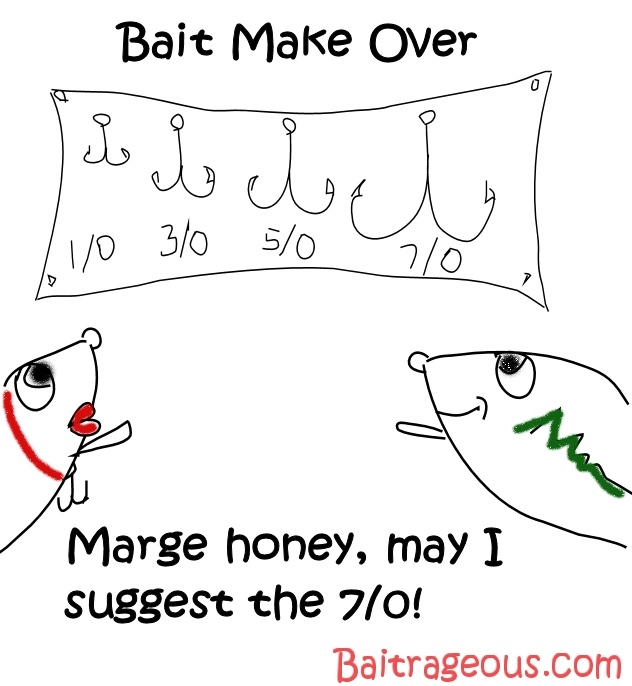 Ok, what does Bait Relations, & Bait Makeover have to do with my blog? 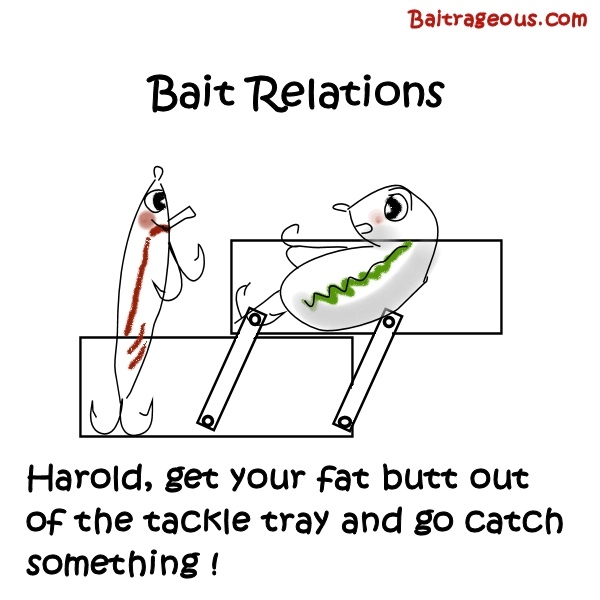 They're the cartoons for the week. 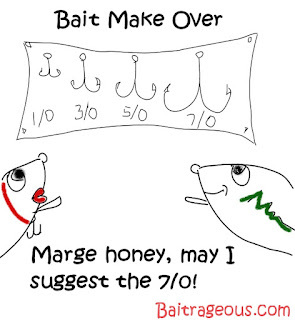 My favorite is bait makeover. Also, the temp has finally dropped back to normal here in Tennessee. 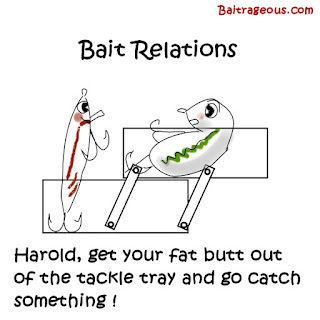 Hey, get away from the big screen and get on a big stream.